Out of the Platinum Group Metals (PGM-s), palladium has the lowest melting point and least density. This white metal entered the jewelry industry in 1939. You have landed a preferred precious metal mart selling top grade palladium. Buy palladium bars online from us. 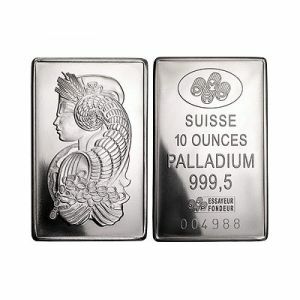 We sell 1 Oz and 10 Oz palladium bars. 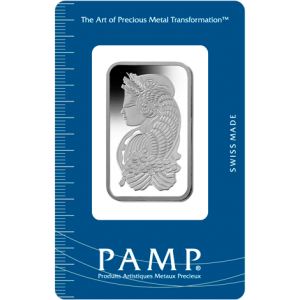 Pick your Pamp Suisse Platinum Bar after comparing current prices of palladium.